You can find out more about NPF's National Medical Director, Dr. Michael S. Okun, by also visiting the NPF Center of Excellence, University of Florida Health Center for Movement Disorders and Neurorestoration. 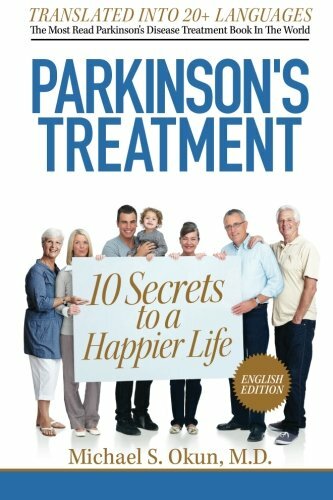 Dr. Okun is also the author of the Amazon #1 Parkinson's Best Seller 10 Secrets to a Happier Life. 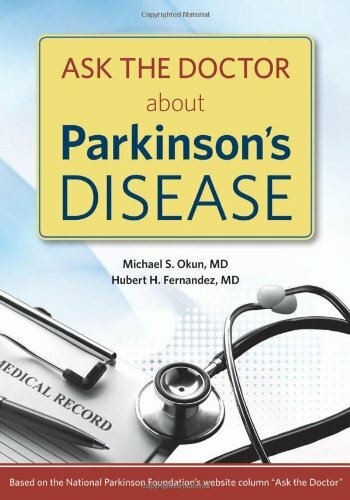 See all of NPF What's Hot columns at http://www.parkinson.org. 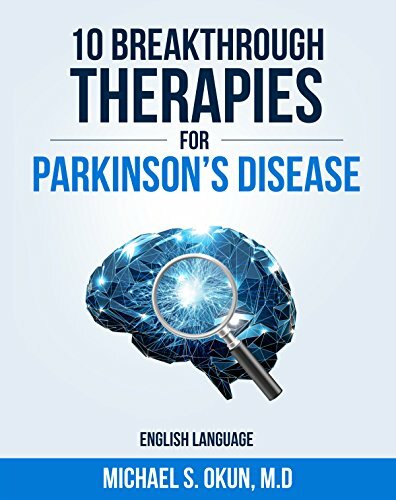 Parkinson’s disease patients frequently struggle to identify drug therapies that can address bothersome symptoms such as sleep dysfunction, bladder urgency, drooling, and tremor. Many of the drug therapies such as Benadryl (diphenhydramine), Advil PM, Alleve PM, common antihistamines, and others pills are readily available over the counter and do not require a prescription. There are other prescription drugs such as trihexyphenidyl (Artane), ethopropazine hydrochloride (Parsitan), benztropine (Cogentin) that are also commonly used in general practice. These medications block a cholinergic receptor in the brain, and can improve many Parkinson’s disease symptoms. However, the price of taking these drugs may be steep (thinking problems, confusion, unsteadiness and even falling). An older French study of hospitalized Parkinson’s disease patients revealed that though 46% of all demented patients were confused, 93% on anticholinergic therapy had delirium and confusion when in the hospital (Agid et. al.). Deficiencies of the chemical acetylcholine have been reported to underpin thinking issues and shortages of the chemical have been observed in the brainstem, hippocampus, and cortex of Parkinson’s disease patients. Though anticholinergic use can result in drowsiness, dry mouth, urinary retention, memory problems as well as constipation, many patients find these therapies useful. In this month’s What’s Hot column we will address the short and long-term potential side effects of using of anti-cholinergic medications in Parkinson’s disease. The most recent worrisome evidence surrounding anticholinergic therapy is drawn from an article in a recent issue of JAMA Internal Medicine written by pharmacist Shelly Gray. The authors utilized data from the Adult Changes in Thought Study. The investigation was based in Washington state and had an impressive 3434 people enrolled who were 65 years or older. All study participants were screened at inclusion to be sure there was no evidence for dementia. The authors cleverly used computerized pharmacy data to assess each participant’s exposure to anticholinergic drugs. The most common anticholinergic drugs were old-fashioned tricyclic antidepressants (TCA’s), antihistamines, and also drugs used for bladder and sleep. The patients were followed for 7 years and the data revealed that over 20% were shown to develop dementia. Participants who took anticholinergic drugs for three years or more had a greater than 50% higher dementia risk. Also, a higher cumulative dose of anticholinergic drugs increased the risk for dementia when compared to those taking anticholinergic drugs for 90 days or less. function in Parkinson's disease. A follow-up study of untreated patients. Brain. 1992 Dec;115 ( Pt 6):1701-25. PubMed PMID: 1486457.
effects on the subcortico-frontal syndrome. Brain Cogn. 1999 Jul;40(2):289-313. Aug;13(8):1055-69. doi: 10.1517/14740338.2014.931369. Epub 2014 Jun 24. Review. overactive bladder in PD/DLB]. Rinsho Shinkeigaku. 2013;53(11):1389-92. Review. Feb;32(2):159-67. doi: 10.1007/s40266-014-0230-0. PubMed PMID: 25566958. 2014 Oct 3. PubMed PMID: 25284144. 12. Dubois B, Danzé F, Pillon B, Cusimano G, Lhermitte F, Agid Y.